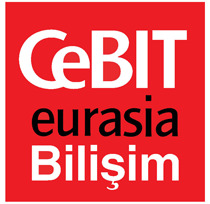 Cebit Bilisim Eurasia will provide a mix of technical papers and panel presentations describing promising new approaches to security problems that are practical to the extent possible, have been implemented. Profile for exhibit include Telecommunications & Networks, e-government, e-municipality, future parc, Information Technology, Software & Services, Mobile Communications, Internet solutions & services, e-commerce, e-business. Profile for exhibit includes Telecommunications & Networks, e-government, e-municipality, future parc, Information Technology, Software & Services, Mobile Communications, Internet solutions & services, e-commerce, e-business, Linux Istanbul, Made in Turkey, Education, Edutainment, Research Technology, Publications, Bilisim Shop etc.